Love them or hate them, business lunches are a very important reality when it comes to doing business. Personally, I find that they are one of the most effective environments for getting deals done and reconnecting with business associates. 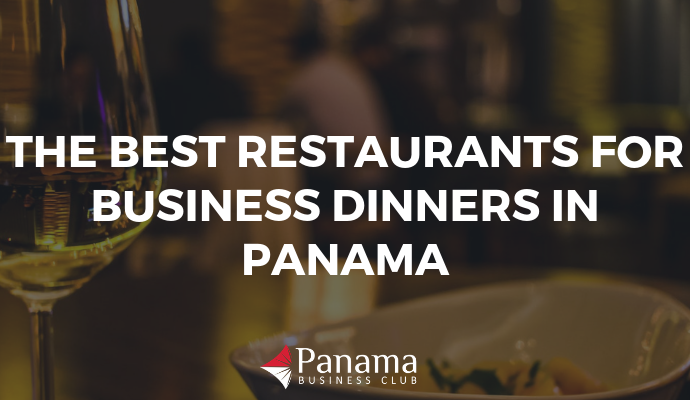 And lucky for us, Panama City is chock full of great restaurants to host effective business meetings over a nice meal. What makes a restaurant a strong candidate for a business lunch? As with any meal, good food and service matters. No one wants to suffer through a lackluster dining experience while trying to have a meeting. But there are also a number of other factors worth considering. For one, noise level is an important consideration. It’s important to choose a venue without loud music or poor acoustics. And you’re also likely to want a certain degree of privacy for your meeting. A restaurant that is spacious enough for tables to be spread out helps guarantee that you won’t be sharing your conversation with half the restaurant. 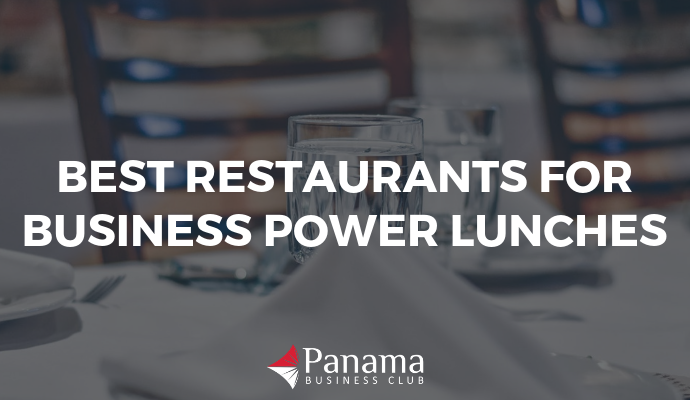 So what are the best restaurants for business lunch meetings in Panama City? Here, we’ve compiled a list of our favorites. Bookmark this list for the next time you need to impress a new client, talk business with a partner, or celebrate the closing of a deal with your colleagues. 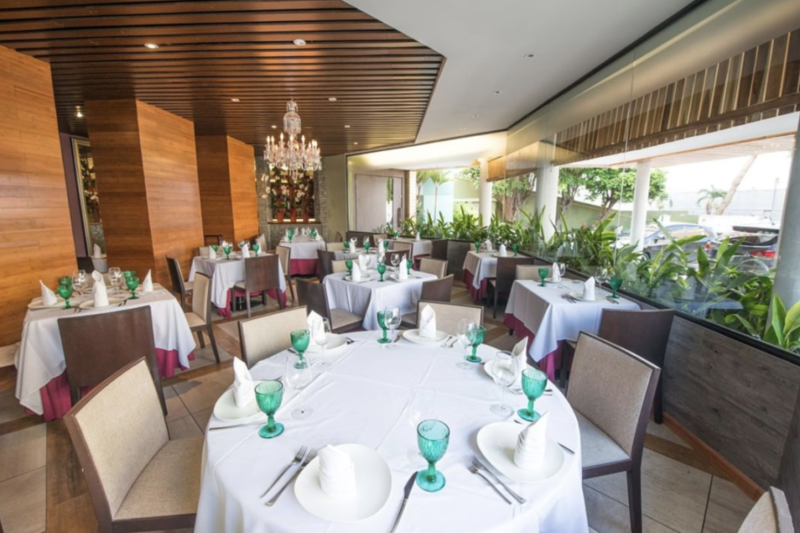 Acha is a favorite spot for Costa del Este bankers to take clients for business lunches and dinners. 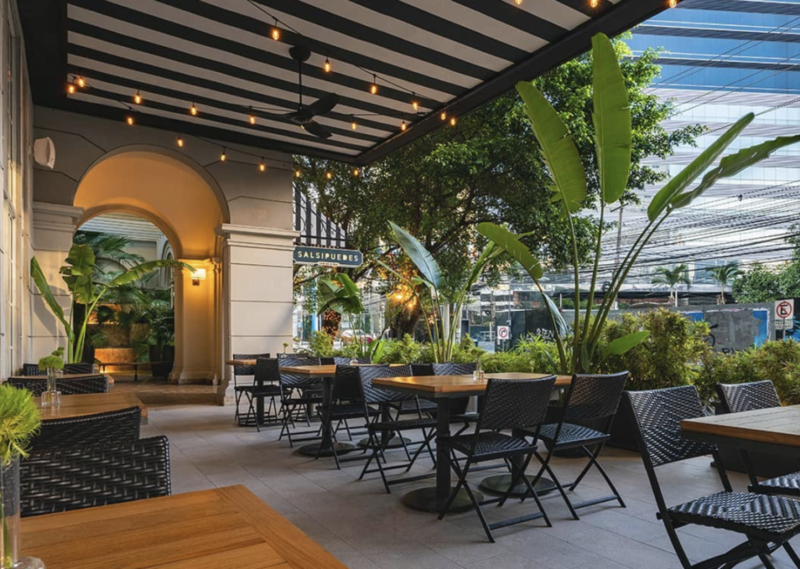 With a spacious dining room and outdoor terrace, there is plenty of room to enjoy your meal and conduct business without feeling smothered by adjacent tables or hovering waiters. The opulent yet classic decor and well-dressed waiters give the venue an air of sophistication that is perfect for a business meeting. The attentive and well-trained waitstaff add to the ease of enjoyment. When it comes to food, go with anything seafood and you’re bound to be happy. The ceviche, calamari, and paella are all favorites. 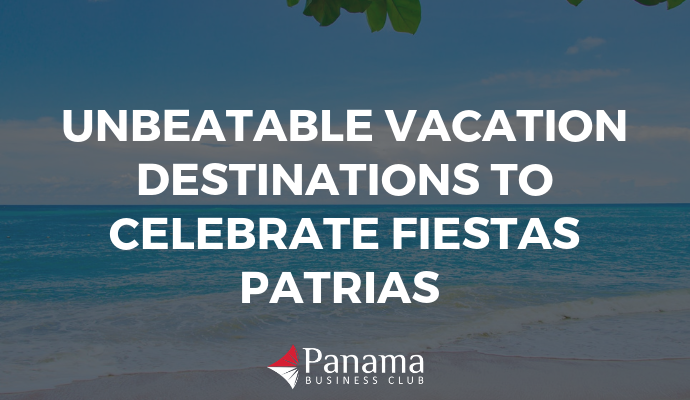 There are two locations, one in Costa del Este and another in the Banking Area/Obarrio. If you’re looking to wow a new client or business partner, La Vespa Vista Mare will get the job done. La Vespa Vista Mare has a modern yet timeless dining room with impressive views of the Pacific Ocean and Panama City skyline. The wait staff strike a good balance, never intrusive, but always there when you need them. Apart from the great environment, it doesn’t hurt that the food here is top-notch. This is an especially good option for picky eaters. Sophisticated foodies will be impressed with the seafood entrees and homemade plates of pasta, while those who opt for simpler dishes might want to take a look at their classic pizzas. 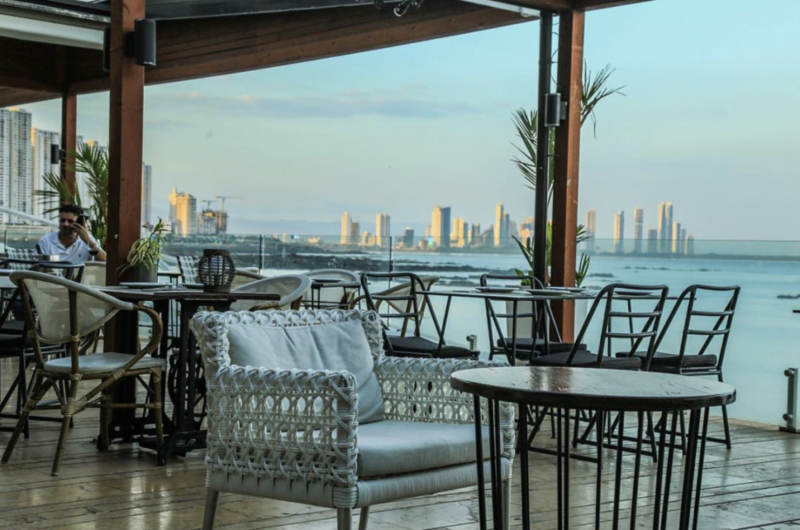 According to TripAdvisor, Santa Rita is the number one place for business lunches in Panama City. The hundreds of people who’ve taken the time to write reviews of this restaurant all agree – it’s a winner. Located at the entrance of Casco Viejo, Santa Rita will win your heart before you even step foot inside. 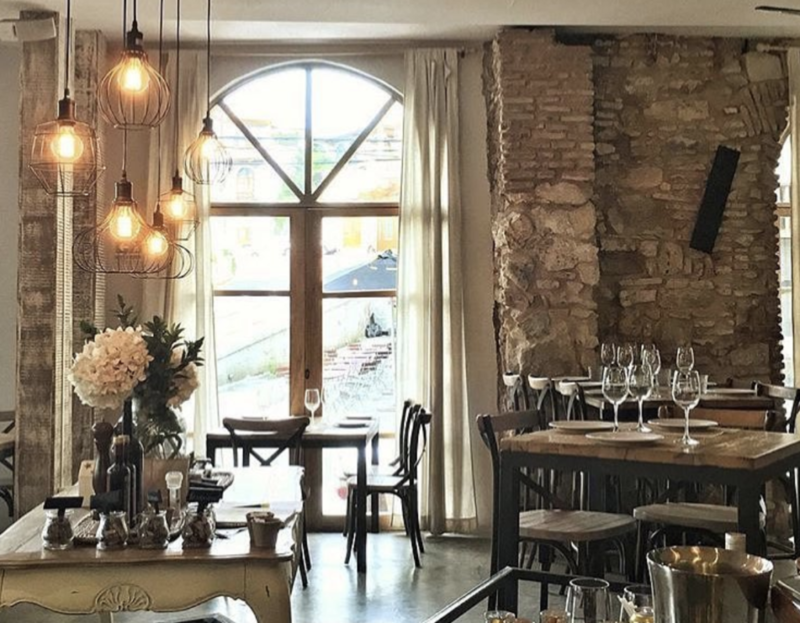 This quaint Spanish restaurant serves up a diverse menu of tapas, small plates, and entrees. It’s a great spot for a business lunch and can accommodate small or large parties with ease. The pulpo, jamon serrano, and croquettas are all great for sharing along with a bottle of Spanish vino tinto, in case your lunch meeting calls for a celebration. If you’re really looking to make a good impression, book a table at Maito. 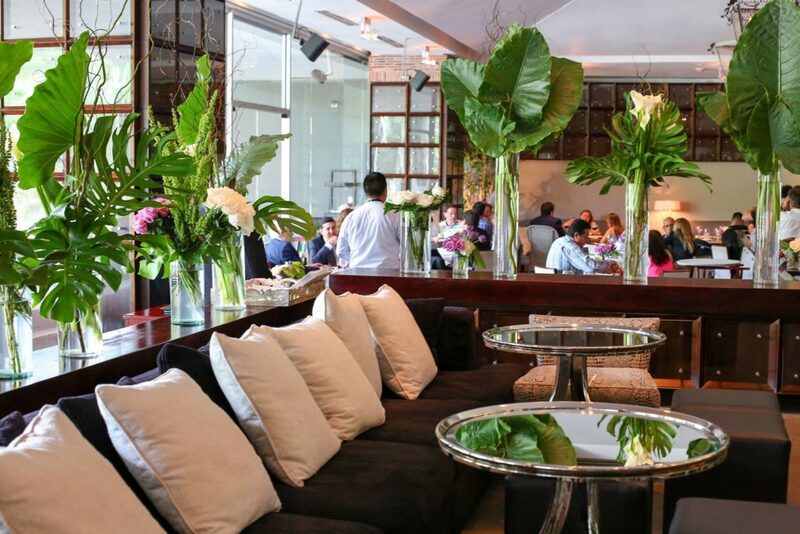 One of Latin America’s 50 best restaurants, this gem leaves nothing to be desired. The fun and flavorful menu celebrates Panamanian cuisine with delicious plates and mouth watering drinks. The laid-back dining room embraces local style, setting the scene for a comfortable and intimate lunch. The staff here are also top-notch and are sure to leave you and your company beyond happy. Even long business lunches at Maito are enjoyable. 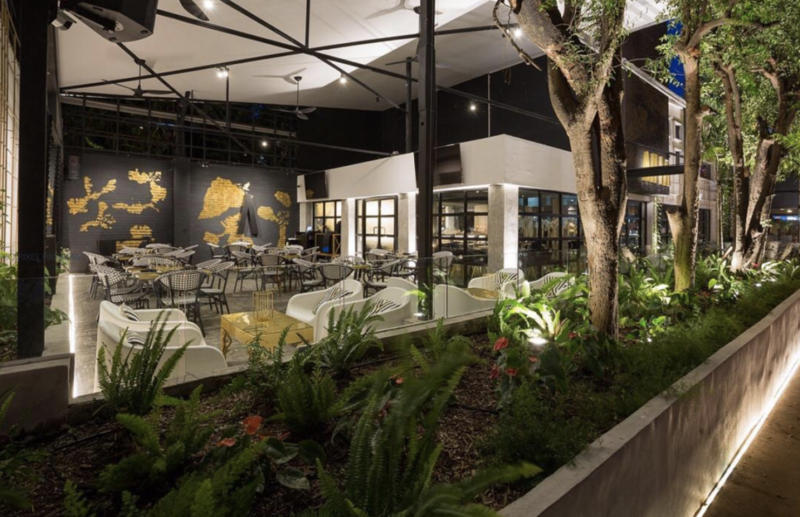 Bonus: This is also one of our favorite dinner spots, so if you decide your meeting would be better served over dinner Maito is still a great choice. Casa Urrutia is a great place for a classic dining experience that’s likely to please even the pickiest of diners. The dining room is attractively decorated and the staff are well trained. While grabbing a drink and some tapas at the bar is a fun option with friends, for a business lunch sit in the main dining room where you’ll have a bit more space and privacy. Croquetas de jamon, fideua, and pulpo are all stars of the show and sure to impress your guests. If you’re celebrating, or just want to pull out all the stops, don’t forget to order a bottle of wine from their extensive wine list. We promise you won’t be disappointed. Everything about Aria feels glamorous. Catch up with colleagues in the blue velvet chairs in the dining room or meet new work partners on the black and gold accented patio. Apart from just the luxurious decor, the five-star staff at Aria will make you feel like you’re the most important table in the room. Both the indoor and outdoor dining areas have enough ambient noise to feel private but aren’t so loud that you can’t carry on a conversation. The eclectic menu has something for everyone, from sushi to rib eye steak. And fun fact: the entire menu is Kosher! Located within the Bristol Hotel, this is a great spot for out-of-towners and locals alike. It’s a great spot for a business lunch for just about anyone, regardless of how well you do (or don’t) know your guests. The bottom line? This place is consistent, rarely crowded, and regularly caters to business people. … . Try the langostino cocktail, the seafood mains, or the surprising desserts. On the off chance that your meeting would be better served over coffee, Salsipuedes is a great spot for a semi-private meeting. Mestizo Restaurant is located inside The Santa Maria hotel. 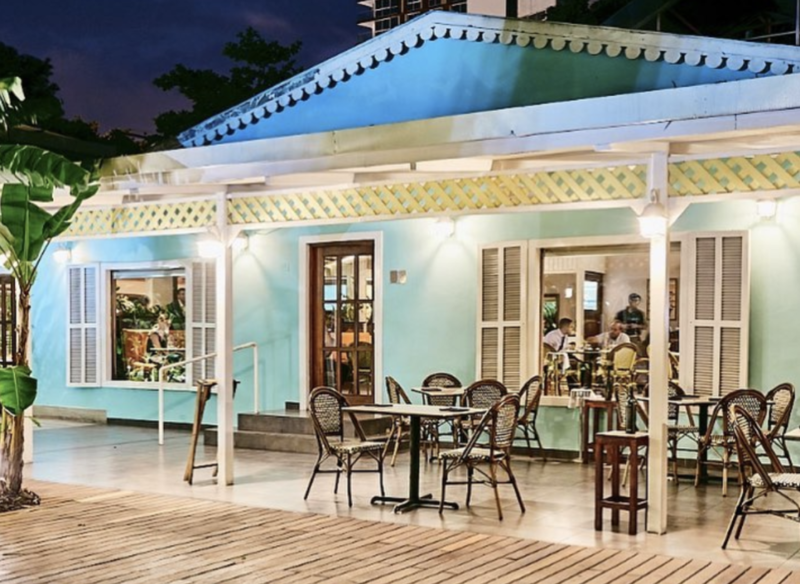 It is a popular spot for locals, hotel guests, and business professionals, particularly around lunchtime if you happen to find yourself in Costa del Este or Santa Maria. Chances are, you won’t be the only one hosting your business lunch here, but you’ll still feel that you have the undivided (but not overbearing) attention of their professional waitstaff. 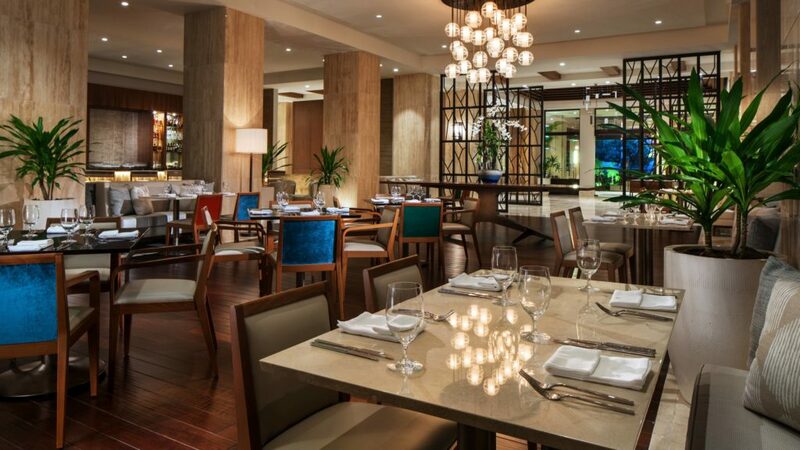 With an extensive menu packed with contemporary takes on Panamanian cuisine, there’s something for any palette. The high ceilings and tasteful decor make this the perfect venue for business talk while enjoying a healthy and flavorful lunch. 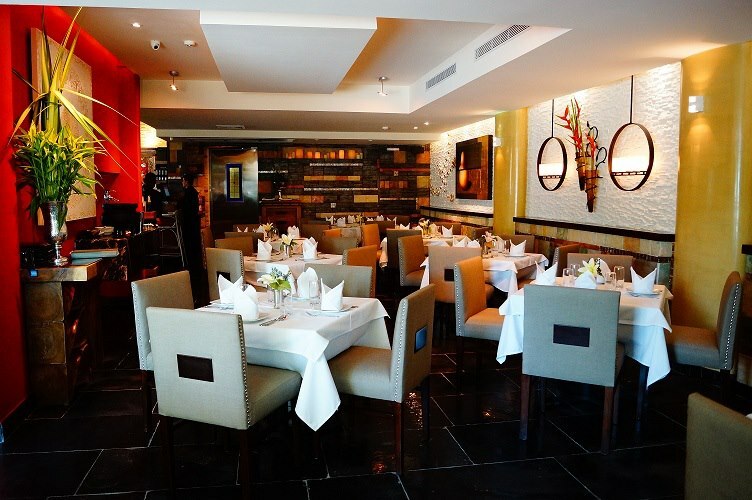 If Italian food is what you’re craving for your business lunch, look no further than Tre Scalini Ristorante. The spacious dining room is both formal and comfortable, and the tables are adequately spaced to allow for private conversations. During the lunch hour, you’re likely to see other groups meeting here to enjoy the delicious portions of pasta made in-house over business conversation. Despite the fact that Tre Scalini Ristorante can get crowded for lunch, the acoustics of the restaurant are wonderful and it’s an easy place to carry on a private conversation. For a menu and more information, visit their website here. So there you have it. These are some of the best restaurants for business lunches in Panama City. If you have any suggestions to add to this list, please drop us an email.